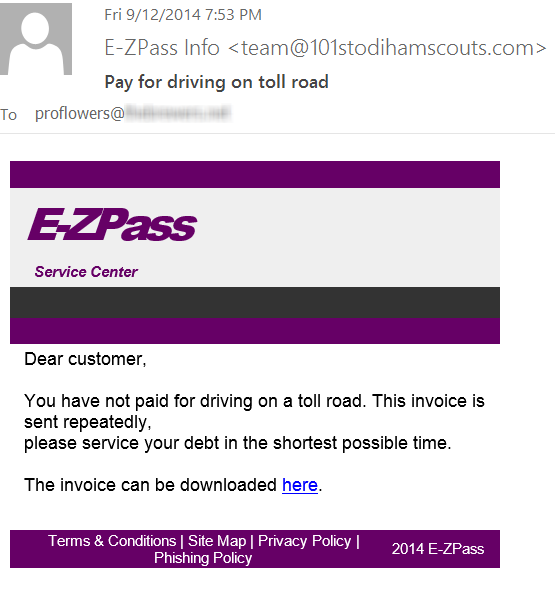 Well, the fact that we keep receiving these fake EZ Pass email notices tells me something…it tells me either it works or these guys are idiots and just keep trying. The bigger problem here is, previously these emails merely took you to a website advertising…stuff. This one actually asks you to download a zip file. Yep, we often get asked “how did I get that virus?” Well, this is a perfect example of how it can happen.